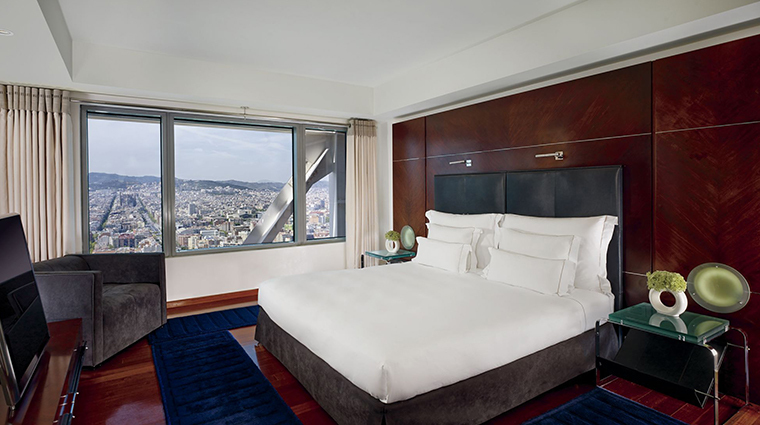 If you want to have one of the best views in Barcelona while staying at a magnificent property on the beach, Hotel Arts Barcelona cannot be surpassed. 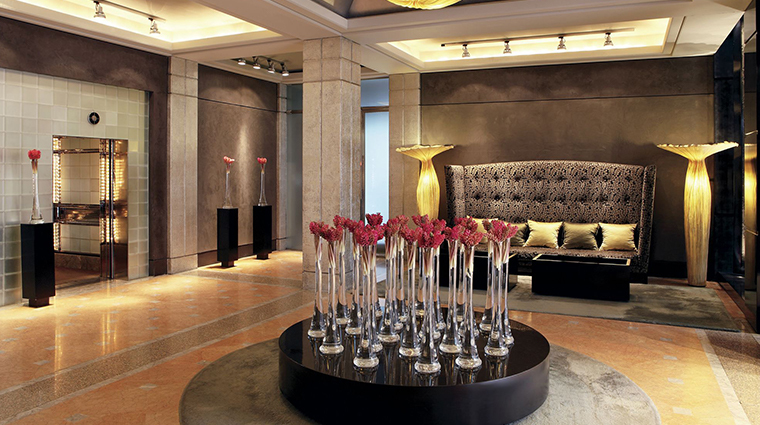 Lavishness is evident throughout this luxury hotel, which was built for the 1992 Barcelona Summer Olympics. This 44-story steel-and-blue-glass exposed-beam tower on the Mediterranean has become an icon of the city. The views are stunning, either out to the sea, toward the city or in some cases, both. Located near the marina and in the fun beachfront Barceloneta district, the Hotel Arts provides premier comfort and accommodations. One of the first and finest of the city’s modern luxury properties, this Barcelona hotel still towers over them all, literally. Check out Frank Gehry's gleaming copper Fish sculpture next to the large swimming pool. Or stroll the hotel's more than 10,700-square-foot garden, where the copper fish is based. 43 The Spa, found on Hotel Arts’ the 43rd floor, presents numerous signature treatments, like the Sublime Diamond Journey, with an application of exfoliating diamond dust followed by some hydrating lotion. The beach is only a few steps away. Locals and visitors covet a patch of sand when the weather turns hot. Impressive museums are not far from the hotel. MACBE, Barcelona’s contemporary art museum, is a 14-minute drive, while the wonderful Museu Picasso, displaying many of the artist’s works from his youth, is an eight-minute drive. Barcelona is synonymous with architect Antoni Gaudi and his Catalan Modernism. Don’t miss his amazing Sagrada Familia Cathedral (10 minutes by car) or his more intimate Casa Batilo (12 minutes). 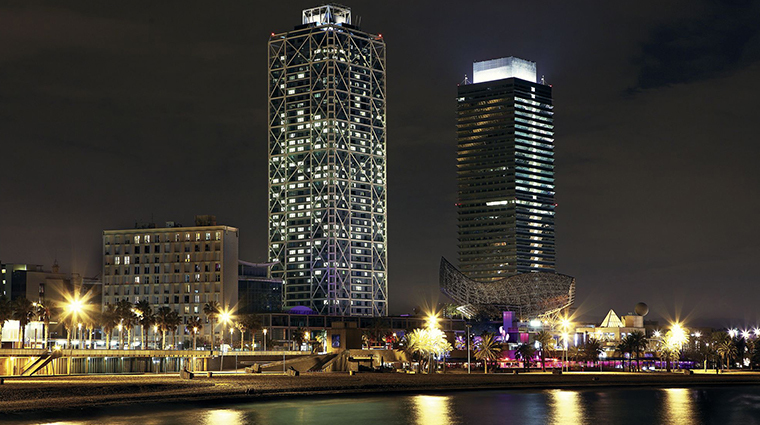 Barcelona is a contemporary city full of modernist architecture and artworks all over. Food is plentiful in Barcelona, and tapas reign supreme. Tapas can be found in virtually every bar, which proffers at least a few items. Or visit the bustling La Boqueria public market for fun snacks or small bites. Besides the hotel, high-end dining is available all over the city. For a special treat, try the eight-course tasting menu at Restaurant Roca Moo. Though Barcelona is a fun and easy city to stroll, this property is a long walk from some parts of the city, so cabs or Uber may be needed. Staff is extremely efficient and friendly, with English spoken throughout the property — not always found in Spain. 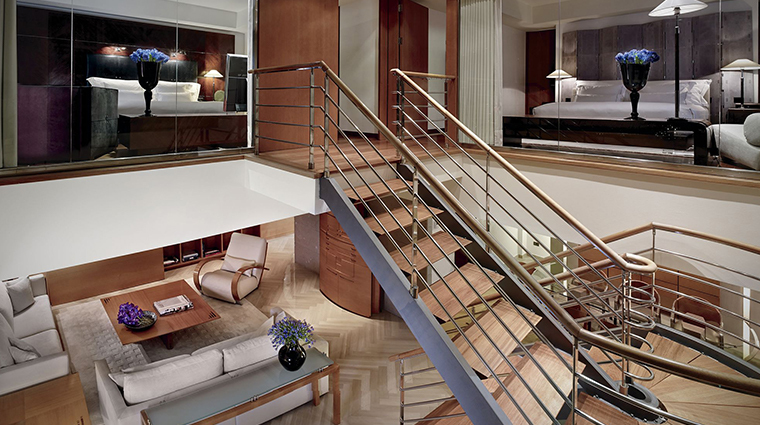 The Barceloneta hotel offers 483 rooms, suites and penthouses. The décor is understated and contemporary with clean lines, lots of beige and white, and a flood of natural light from the windows. Well-appointed rooms come with amenities such as Bang & Olufsen audiovisual systems, bathrooms with a separate tub and hydro-shower stall, and a control panel for the lighting, blinds and music. 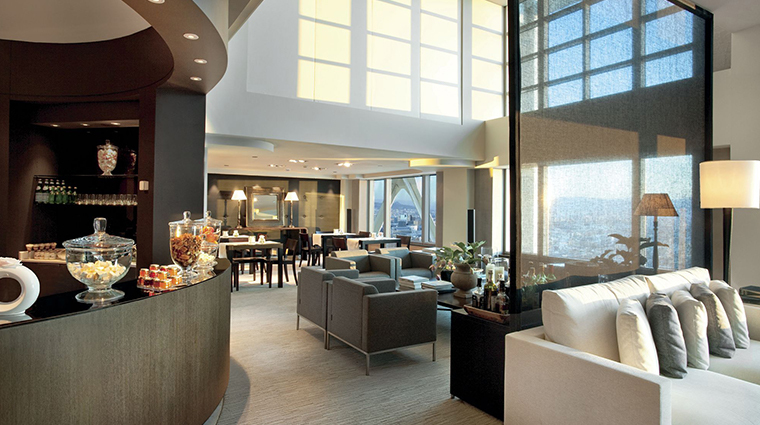 For a more exclusive experience, reserve a Club room. Set on the upper floors of the hotel, Club rooms offer more personalized service: They have their own reception and concierge, private access to the Club floors and entry to the Club Lounge, which serves light refreshments and splendid views of the Mediterranean and Port Olimpic. The hotel’s location is great for seeing Barcelona’s geography from on high. Some suites have telescopes. The showcase of the luxury hotel is the noted Enoteca Paco Pérez, named for its famed chef. This light and airy restaurant, bedecked in white and wood, is far from pretentious. Chef Pérez has a light touch, providing mostly coastal cuisine of the Mediterranean. Try the stellar seasonal rice dishes. Arola is another Hotel Arts fine-dining experience, but a bit more casual. It serves excellent tapas for lunch and dinner. Frank’s is a sophisticated cocktail bar complete with fireplace and Marina offers wines by the garden pool. It’s a lovely setting in the evening.